Here’s what’s up in the world of TV for Friday, March 31, and Saturday, April 1. All times are Eastern. 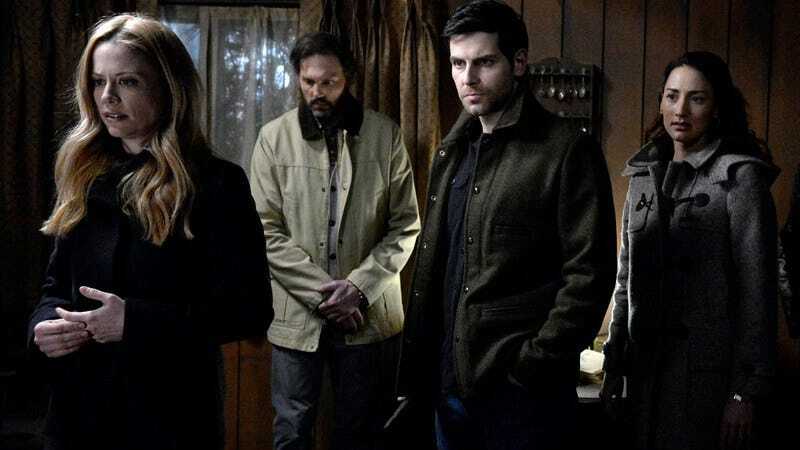 Grimm (NBC, Friday, 8 p.m.): After six seasons of doing the monster mash, the series closes with the final arc of a three-parter that serves as the curtain call for Nick Burkhardt and his crime-fighting ways. Here he’ll turn to his ancestors to try and save the world against a seemingly unstoppable foe. Meanwhile, at the Spice Shop, Monroe, Rosalee, and Eve search for answers and “stumble upon a rare potion that may help the fight. Elsewhere, Capt. Renard and Adalind try to keep Diana and baby Kelly safe as the threat has its eyes set on the children.” David Greenwalt’s little Friday night supernatural drama that could will hopefully receive a fitting send-off. Five Came Back (Netflix, available Friday): With this original documentary series based on Mark Harris’ book, Netflix turns the camera back on five men who are more used to being behind it. As we said when the trailer first came out, these legendary directors—Frank Capra, John Ford, John Huston, George Stevens, and William Wyler—get a close study, with the installments exploring “how World War II impacted their films while their films were simultaneously impacting the world.” Given that the book is excellent, we have high hopes for this one. Plus, it’s narrated by Meryl Streep. The streaming site is dumping a bevy of entertainment options into the world tonight, so you’ve got your pick of genre. If you want pulp teen mystery drama, 13 Reasons Why is here to start strong and then slowly fall apart, though still remain pretty addictive to the very end. If a more adult mystery is your speed, there’s Bordertown, which also begins its first season of Finnish murder investigations, with a gifted detective who moves to a small town, only to have bad things immediately fall into his lap. Intriguing film The Discovery is here to tell you about life after death, a film about which our critic A.A. Dowd said, “fans of twist-on-top-of-twist science fiction will get joyously dizzy tracing the movie’s loops and curves.” For comedy fans, Trailer Park Boys arrives with an 11th (!) season, and if you just need something to keep the kids entertained, Dinotrux is back for season four. Did we miss anything? Whatever, Netflix will probably announce 17 more projects between the moment this sentence is typed and when you read it.